We welcome the fact that this Symposium is a new step in the recognition and promotion of Agroecology by intergovernmental institutions, governments, universities and research centers. 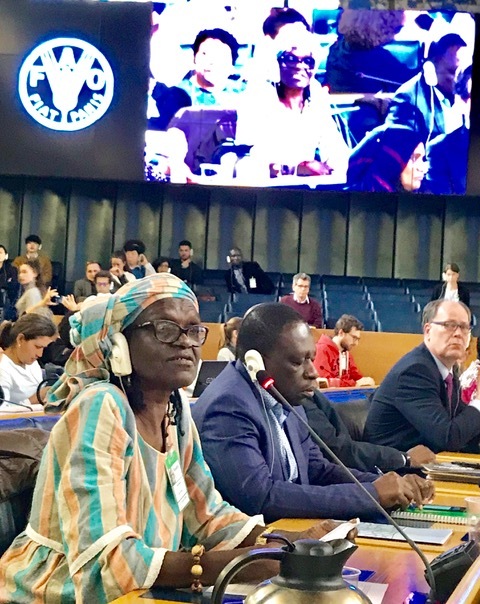 FAO and other UN agencies must continue to strengthen their work in Agroecology. This requires their governance bodies to take appropriate measures to implement differentiated market policies, like public procurement, and other policies for training, financing and technical assistance, among others, that support small-scale producer organizations and own processes at the local, national, regional and international levels. Cover Image: Peasant women at Amritabhoomi, the agroecology school in Karnataka, India. Photo by David Meek.